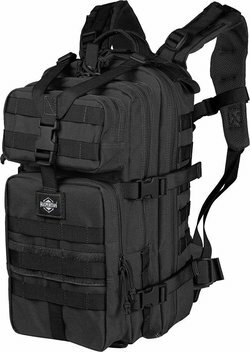 Maxpedition Falcon-II Backpack Review - Is This Suitable for Expedition? Have you ever planned on going for an adventure and then carry a bag that frustrated you on your journey? It is always a worrying situation and most people always don’t know what to do next. For instance, if you carry your luggage and then the bottom of the bag gets torn, you are in the middle of your journey, what will you do next? A hard question indeed. But there is a backpack that has been designed to take care of all your traveling needs. I am talking about Maxpedition Falcon-II which is ergonomic, durable and also made with an intelligent design. It is a medium backpack but made with the right kind of materials that makes an absolute delight for you to wear. The compression strap that it has been made with has a Y-shape. This is one feature that makes this bag famous in the market. In fact, I realized that it is what gives it its form and structural integrity. When you get your items in the bag and carry them, you will not feel the weight because the straps ensure even distribution of such kind of weight. The back padding is also comfortable and ergonomic. When you combine this with the supple curvaceous straps and the sternum support, then any stress on the shoulders is minimized and avoid back pain. This is one feature that will allow you add small pouches to the bag system as you may like. Personally, I don’t like to do that on packs as they tend to be all over the place hence bringing a distraction. But with the retention straps that have been fitted on the bag which along with the sides, they will ensure all the add-ons are always in place. The Falcon-II from Maxpedition gives me an easy time carrying my pouches wherever I go and I don’t have to strain that much. One of the best things about a bag is its ability to keep water out of the way from reaching the inner items that you have packed on the bag. I found this feature a nice touch and useful than you might have realized it. In fact, when you get your items wet, that is the time you will realize how useful it is. It has been fitted with two straps also down to offer you a bedroll. When it rains, you never need to worry and when you put it down, even when the ground is wet, it will always keep your things dry. When you are going for an adventure, you will realize that you need to take most items that are essential for use. This is a bag that can help you out there. It has layered independent compartments that also has more pockets, pouches and also PALS attachment points. When you compare it with other bags that are of its size, you will realize that what it can carry is almost twice that size. You can pull down the YKK zippers so that you are able to expand fully. That way, it can accommodate more of what you need to carry for your expedition. A sturdy bag that will not surrender to the weight that it carries. At the same time, it is expandable. Loose and uneven stitching might be one problem that might make it not that good. It does not come with a bottle holder. When you need one, you will have to buy one differently. Maxpedition Falcon-II is a good one for use but I recommend few things that need to be improved. The nylon straps that are used in making it are stiff and sturdy. They need to be adjusted a bit to make them run well in tying things up. Some of the straps are also long. That makes it a bit difficult to contain by keeping them rolled. They need to be shortened. 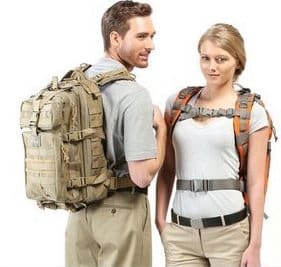 The shoulder straps also need to be added with more padding so that they increase the comfort of the person that is carrying it. With all this and a good improvement of the ventilation at the back, the bag will be a better one for use. I know that you have already figured it out how good this backpack is like I have. Its capability is easy to expand when you need it to. But at the same time, it is big enough on its own to ensure that you get most of your way there. 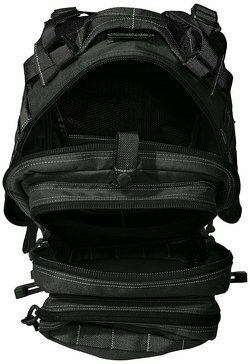 The Maxpedition Falcon-II is a sturdy bag that has also been made with a good finish and has excellent straps that are also very comfortable. Other than the minimal things like the long straps that need to be improved, it is a bag that is good for your planned expedition. Buy it and make your time enjoyable.